Ford has posted a net loss of US$129mn, or $0.06 a share, for the third quarter of 2008, an improvement on the $380m net loss in Q3 2007. The operating loss, excluding special items, was $2.7bn, down from a $194m profit a year ago. More US jobs are to go but most new product development remains on track. There was a favourable curtailment gain over $2bn related to the approval of the retiree health care agreement. The company said it remained on track to achieve $5bn in cost reductions in North America by the end of 2008 compared with 2005 and is planning further cost and cash improvements to continue implementing its product-led transformation plan and offset continued weakness in the global automotive industry. 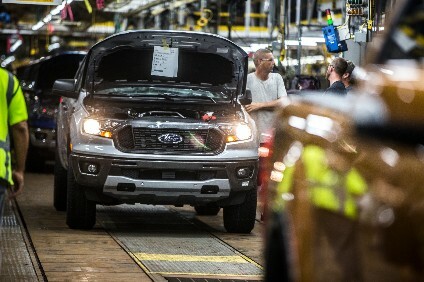 New cost cutting measures will include an additional 10% cut in North American salaried workers, a reduction in capital spending as the load is shared around the automaker's global engineering and product development; a reduction in manufacturing, information technology, and advertising costs due to the company's 'One Ford' global operations; and a reduction of inventories globally. The additional salaried worker cost cuts will be achieved by the end of January 2009, through personnel reductions, attrition and "other actions". There will also be a further reduction of US hourly employees by approximately 2,600 as a result of the most recent round of targeted buyouts - bringing total hourly reductions through buyouts in 2008 to approximately 7,000. Up to 4,000 cuts had been feared by the key UAW union. Merit pay increases for North America salaried employees will be axed in 2009 along with performance bonuses for global salaried employees. "Ford's actions are based on the expectation that the global auto industry downturn will be deeper, broader and longer than was previously assumed. Industry volumes next year are expected to decline compared with 2008 levels [and we will] continue to adjust production in line with the lower demand," the automaker said. Ford also said it would continue to explore divestitures of non-core assets and utilize equity-for-debt swaps and other incremental sources of financing to strengthen the company's balance sheet. Ford reiterated its continued investment in smaller, more fuel-efficient vehicles more in line with those sold in other markets and insisted nearly all planned new products remain on track and on time - "aside from a few select vehicles that will be deferred until industry volumes recover". But it will reduce spending for large vehicles in declining segments. After-tax, the Q3 operating loss was about $3bn, or $1.31 per share, compared with a loss of $24m, or 1 cent per share, a year ago. Revenue declined to $32.1bn from $41.1bn a year ago as lower volume, the sale of Jaguar Land Rover, changing product mix and lower pricing wre partly offset by favourable changes in currency exchange rates. Special items improved pre-tax results by $2.2bn in the third quarter, or $1.25 per share. This was mainly the retiree health care curtailment gain in excess of $2bn related to the approval of the retiree health care settlement agreement with the UAW. Automotive gross cash, including cash and cash equivalents, net marketable securities and loaned securities, was $18.9bn on 30 September, down from $26.6bn at the end of the second quarter. Ford's said its automotive cash flow during the third quarter was significantly affected during the quarter by factors including the decision to reduce truck production to allow for an orderly sell-down of dealer inventories to make way for new models. Overall, global third quarter production levels were more than 100,000 units below retail sales and nearly 500,000 units below the second quarter levels. This had a substantial impact on profits, and the decline in production resulted in about a $3bn reduction in payables during the quarter, the automaker noted. Ford also said it would continue working with a number of governments around the world to maximise the availability of funding to provide further protection against the uncertain economic environment that the entire automotive industry is facing. The automaker said it had reduced automotive costs about $3bn globally so far this year and was on track to reduce costs by about $4bn for the full year. Ford North America is also on track to achieve or exceed its commitment of reducing $5bn in annual operating costs by the end of 2008 compared with 2005. The worldwide automotive sector's pre-tax loss of $2.9bn, compared with a pre-tax loss of $362m a year ago was due to lower volume and unfavourable mix, particularly for North America and Volvo, higher net interest expense and related fair-market value adjustments, and lower net pricing, partly offset by cost cuts. Worldwide auto revenue was $27.8bn, down from $36.3bn a year ago. Total vehicle wholesales in the third quarter were 1,174,000, compared with 1,487,000 units a year ago. Ford North America reported a pre-tax loss of $2.6bn, compared with a loss of $1bn a year ago. Third quarter revenue was $10.8bn, down from $16.7bn. Ford South America reported a pre-tax profit of $480m, compared with $386m. Revenue was $2.7bn versus $2.1bn. 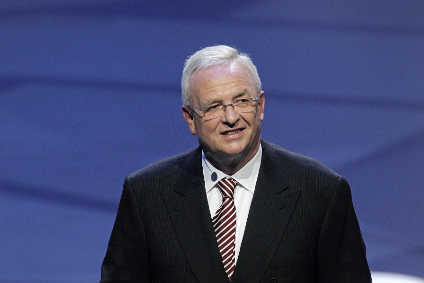 Ford Europe, hit by cost and exchange costs, reported a pre-tax profit of $69m, compared with $293m a year ago. Revenue was $9.7bn, up from $8.3bn a year ago. For the third quarter, Volvo reported a pre-tax loss of $458m, compared with a loss of $167m a year ago. Third quarter revenue was $2.9bn, down from $3.8bn a year ago. As part of its restructuring, Volvo plans a total reduction of 6,000 employees worldwide, including 1,200 agency staffers. Ford Asia Pacific and Africa's pre-tax profit of $4m compared with $30m a year ago while revenue was $1.7bn, down from $1.8bn a year ago. Ford lost $1m from its investment in Mazda and associated operations in the third quarter, compared with a profit of $14m a year ago. Other automotive, which consists primarily of interest and financing-related costs, reported a third quarter pre-tax loss of $411m including net interest expense of $440m. The financial services sector reported a pre-tax profit of $159m, compared with $556m a year ago. Ford Credit reported a pre-tax profit of $161m versus $546m. The decline primarily reflected the non-recurrence of net gains related to market valuation adjustments from derivatives, a higher provision for credit losses, and lower volume, partly offset by a higher financing margin. 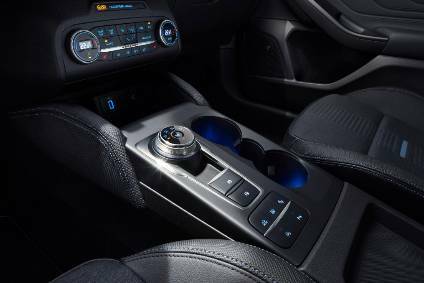 Ford said it is more focused than ever on implementing its transformation plan to respond to the significant challenges presented by the continued global economic downturn. "These are challenging and historic times for the global automotive industry, but I am more convinced than ever that Ford has the right plan to see us through," CEO Allan Mulally said. "We will continue to take the decisive steps necessary to operate through the current downturn and be in a position to begin to grow profitably again as the global economy rebounds." Added Mulally: "We have a strategy that is broad and specific enough to handle the dramatic changes in today's environment. We will continue to assess the rapidly changing business environment and modify implementation of our plan accordingly."